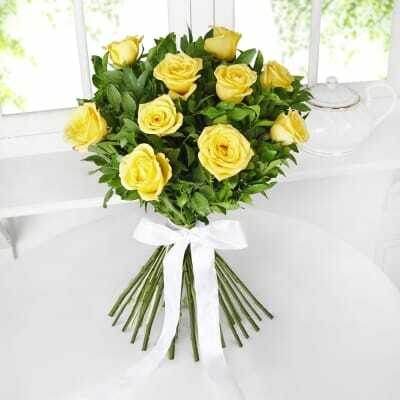 Whats a better way to express your gratitude and care to someone than by surprising them with beautiful flowers? 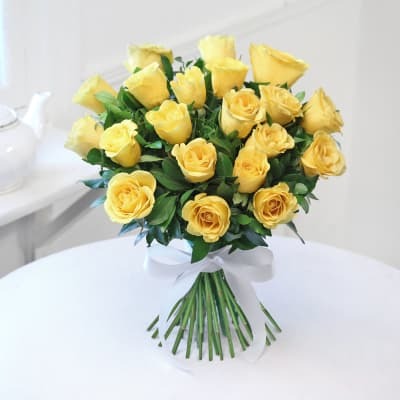 This stunning bunch of ten yellow roses will surely convey your feelings to your loved ones. 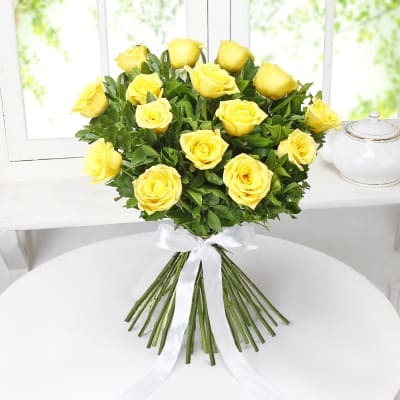 Packed with care and finesse, this arrangement of ten yellow roses can be given on birthdays, or on other special occasions to your close friends and family members. The flowers can be bunched together using a tissue or net sheet. One can also opt to use a vase for the arrangement of flowers. Your Friend, Mother or Daughter to wish them all the best.